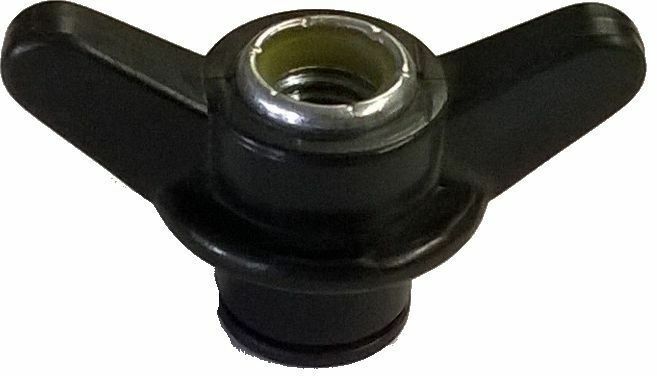 Wire Block for Accelerator Lever on 1967 to early 1968 Harley Davidson model D.
Nylock Style Wing Nut for Air Cleaner on 1966 to 1970 Harley model D and DC... Has 1/4"-28 tpi. 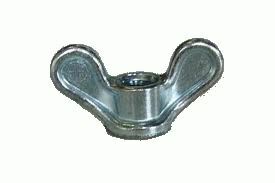 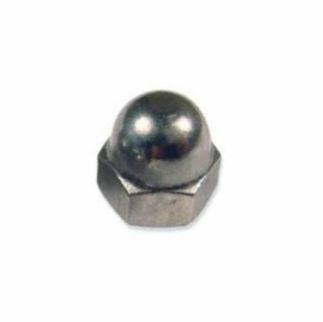 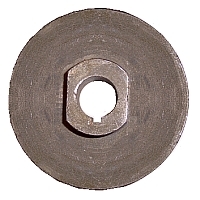 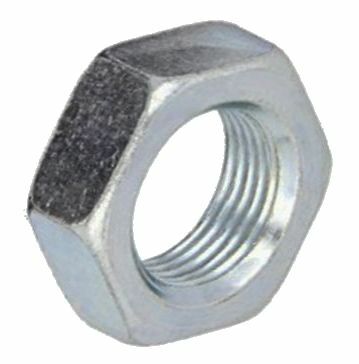 Wing Nut for Horizontal Sideways Air Cleaner on 1984 to 1987 Columbia Par Car models G3, G4 and U4. 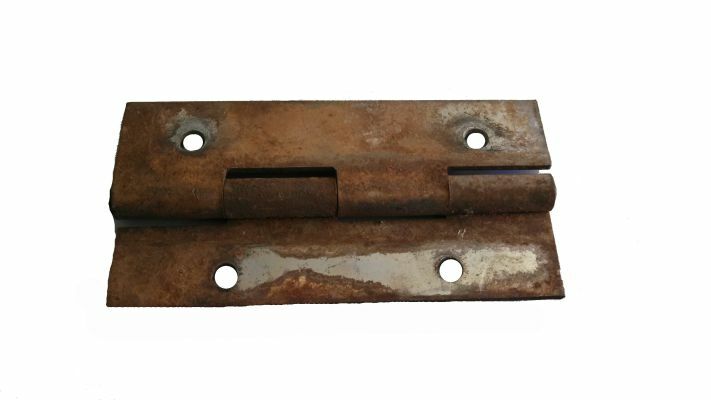 Good Used Rear Body Hinge for 1963 to 1982 Harley Davidson and 1982 to 1995 Columbia Par Car. 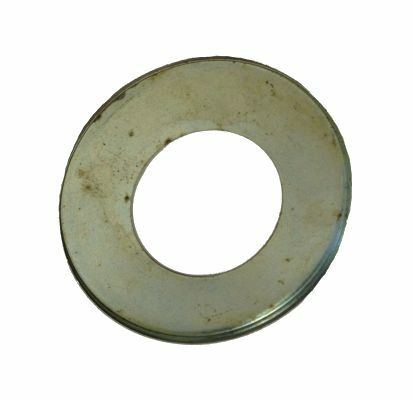 USED Air Cleaner Mounting Stud for 1972 to 1981 Harley model D, DC, and D4... 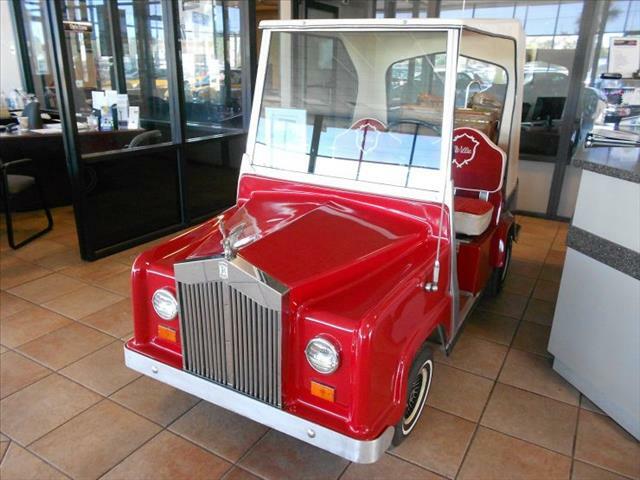 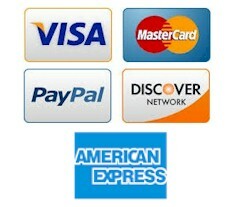 NOTE: All used parts subject to availability. 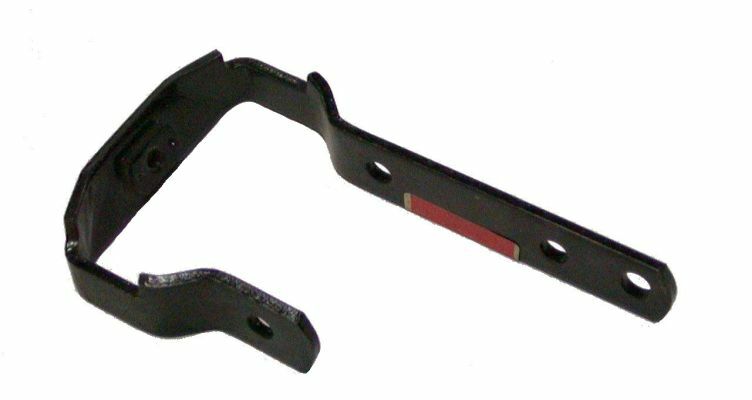 Good Used Accelerator Pedal Return Spring for 1967 to 1981 Harley Davidson models D, DC, and D4, also 1982 to 1986 model G3. 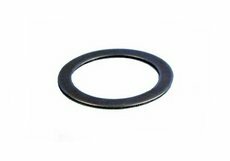 Front Fork Upper Bearing Guard for 1970 to 1981 gas Harley Davidson models D and DC and electric models DE and DEC... Also 1982 to 1985 gas models D3 and G3 and electric models DE3 and E3. 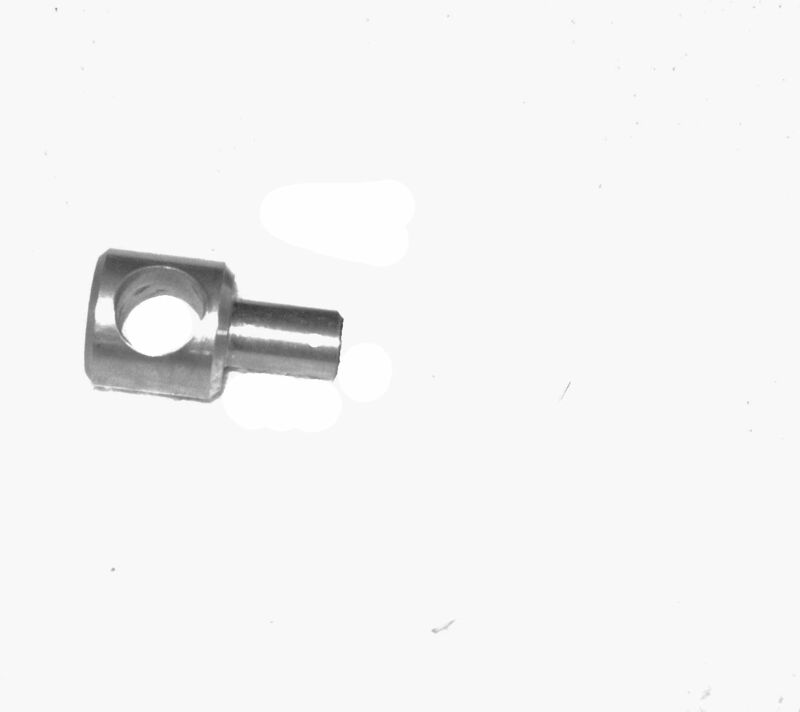 Throttle Shaft Clip for 1963 to 1981 Harley Davidson with Tillotson carb model 231B... Also 1971 to 1975 E-Z-GO with Tillotson carburetor model HL279 or HL-287. 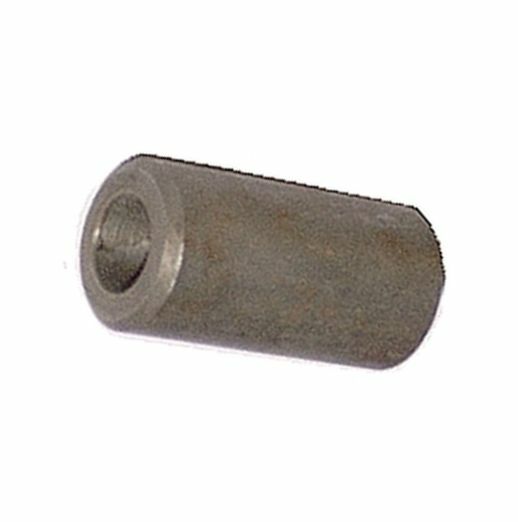 Throttle Cable Spacer for Harley Davidson from 1967 to 1980 model D and D4. 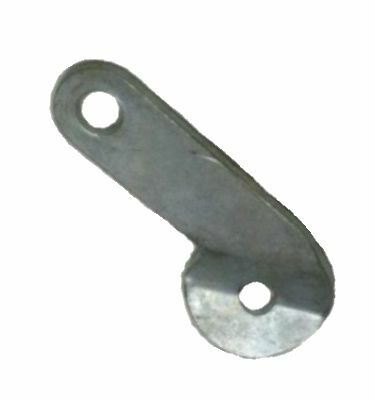 Throttle Cable Clamp for Harley Davidson from late 1968 to 1978 model D and from 1969 to 1978 on model DC and D4. 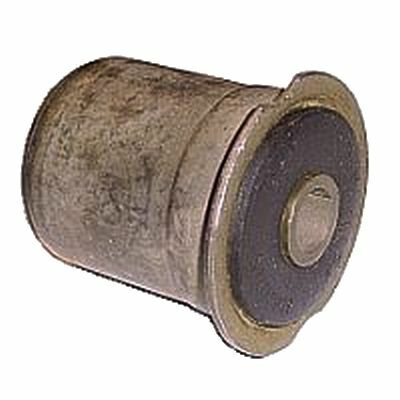 Steel Belt Tensioner Spacer Bushing for generator end of belt tensioner on 1967 to 1978 Harley Davidson model D and DC. 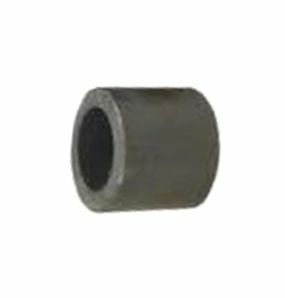 Steel Belt Tensioner Spacer Bushing for crankcase end of belt tensioner on 1967 to 1978 Harley Davidson model D and DC. 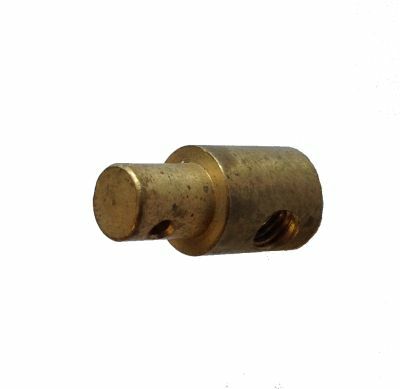 Manifold mounting stud on 1967 to 1970 model D and 1970 model DC. 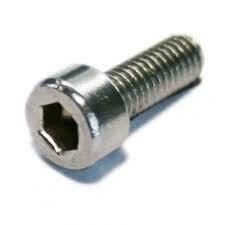 1/4-20 threads on case side and 1/4"-28 threads on manifold side. 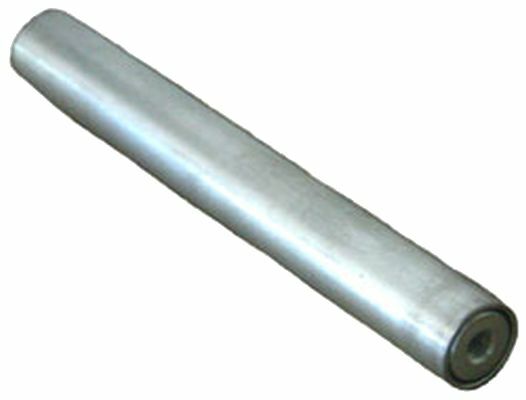 Overall length is 1-7/8". 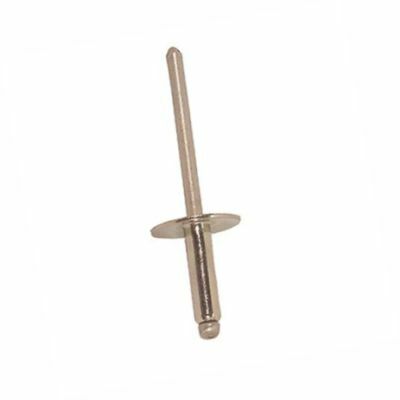 Carburetor Mounting Stud for 1963 to 1987 Harley Davidson... Also manifold mounting stud on 1963 to 1966 model D, DF, and DC and 1967 to 1968 model DC. 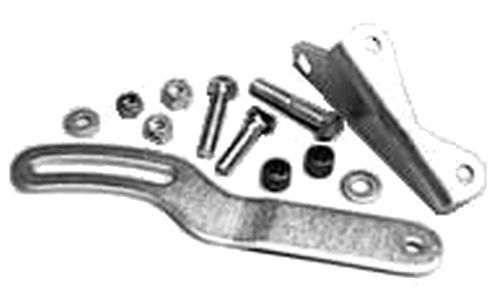 Starter/Generator Adjustment Strap for 1979 to 1981 Harley Davidson. 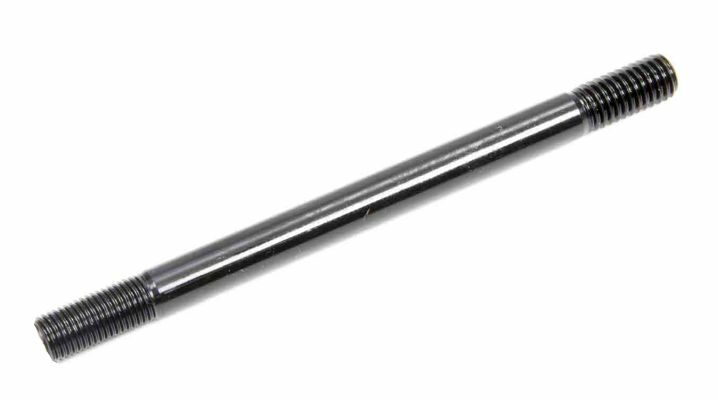 Part Number: 43808-78OEM Part Numbers - 43808-78 Item Description - Lower steering shaft Reinforcement for 1976 to 1978 Harley Davidson model DE-40. 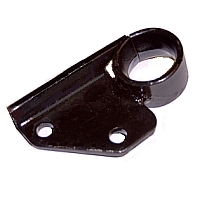 Steering Head Bracket for Harley Davidson carts with tiller steering from 1963 to 1973 models D, DF and DC. 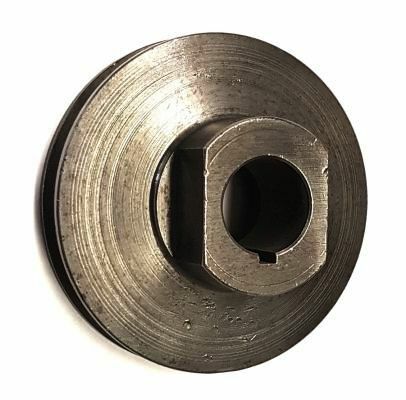 EL11-101 - Starter/Generator Pulley, 3.2"
3" Diameter Starter/Generator Pulley for 1972 to 1981 Harley Davidson models D and D4 and 1982 Columbia Par Car gas models D3 and DX4. 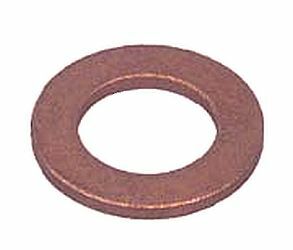 17mm by 1.25 tpi Nut for Starter/Generator on 1967 to early 1969 Harley Davidson model D and 1969 model DC with Siba starter/generator. 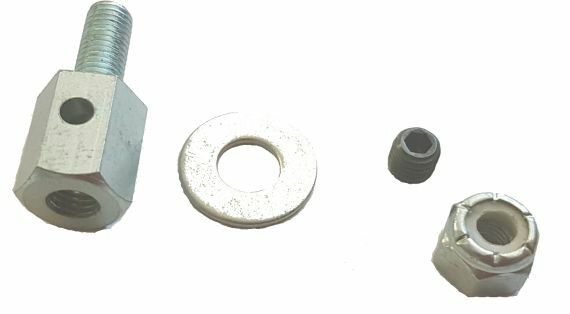 Starter/Generator Mounting Kit for 1967 to 1978 Harley Davidson... 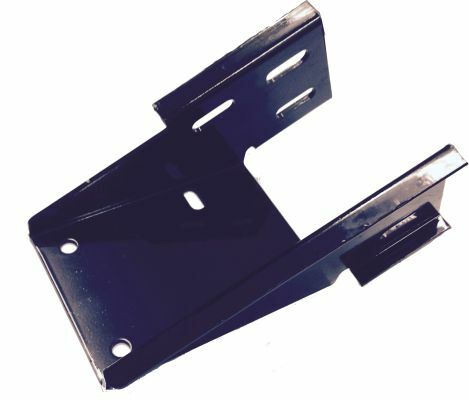 Conversion from spring tensioner to adjustable strap tensioner. 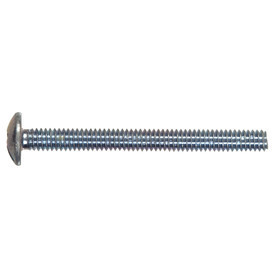 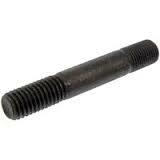 Rear Bolt for Starter/Generator on late 1969 to 1976 Harley Davidson model D, DC and D4. 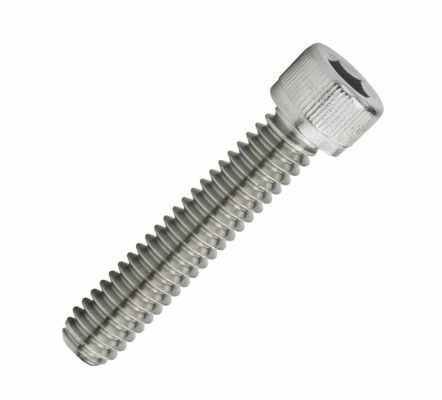 Stainless Steel Allen Head Replacement Crankcase Screw on 1963 to 1981 Harley Davidson models D, DF, DC and DF... Also Air Shroud Mounting Screw on 1963 to 1966 Harley Davidson models D and DF and 1963 to 1968 model DC. 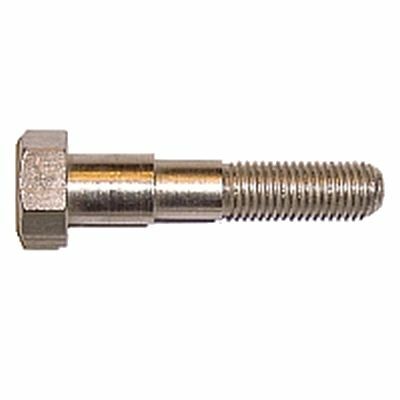 Part Number: 1370WS OEM Part Numbers - 1370W Item Description - Stainless Steel Allen Head Replacement Crankcase Screw on 1963 to 1981 Harley Davidson models D, DF, DC, and DF. 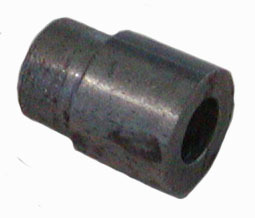 Dimensions: 1/4-20 x 2-1/4". 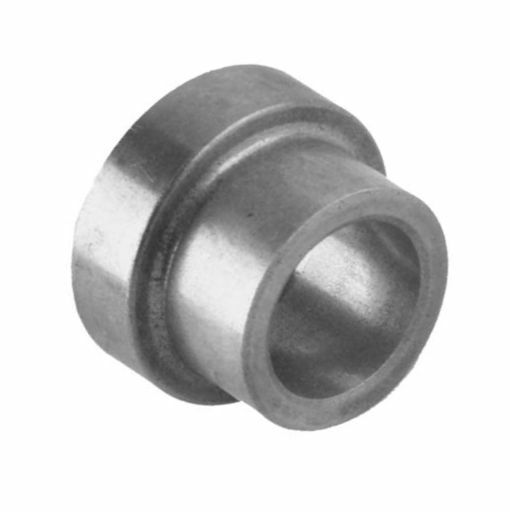 Steel Spacer Bushing that goes through Engine Stabilizer Bushing our, part number EN11-310, on 1967 to 1995 Harley Davidson and Columbia Par Car. 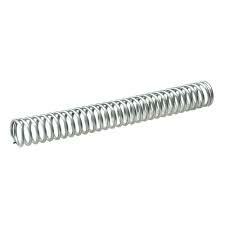 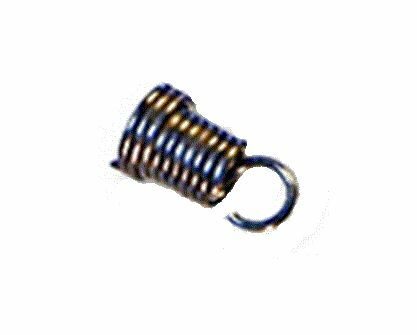 Brake Shoe Hold down Spring for 1965 ONLY Harley Davidson gas models DF and DC with 6" diameter mechanical brakes. 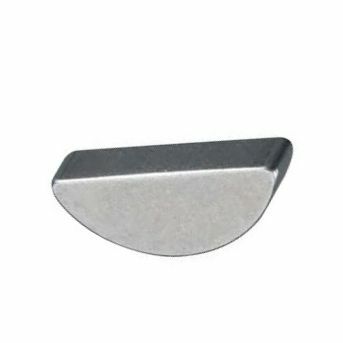 Part Number: 42490-67 OEM Part Numbers - 42490-67 Item Description - Brake Ratchet Spacer for 1967 to 1981 gas Harley Davidson models D and D4 and 1967 to 1975 electric model DE and 1967 to 1968 model DEC, also 1977 to 1982 DE3. 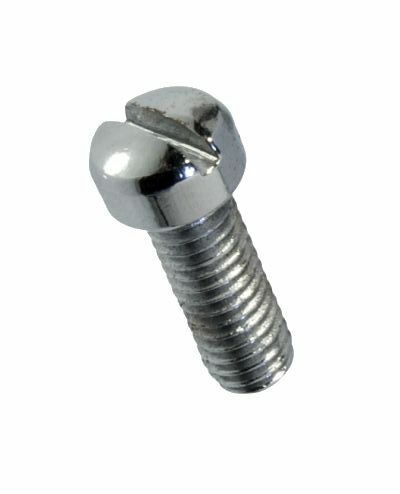 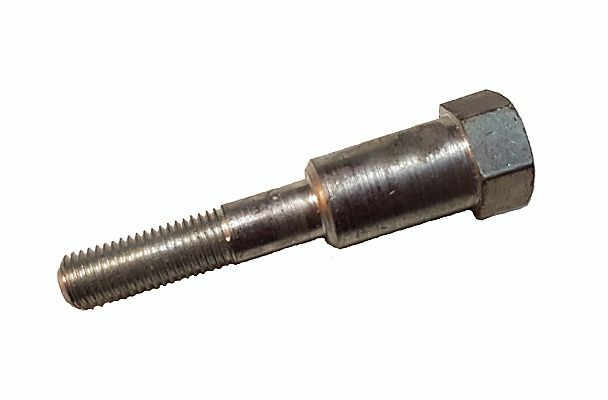 Slotted Fillister Head Screw for Seat Hinge Mounting on 1967 to 1981 Harley Davidson model DEC and Solenoid Mounting Screw on 1963 to 1965 models DE, DEF, and DEC.
Shim for use on Primary Drive on 1969 to 1981 Harley Davidson models D, DC and D4. 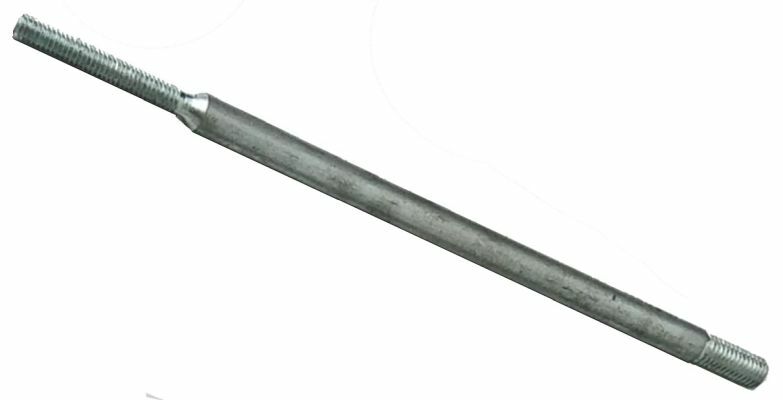 No Longer Available... Throttle Cable Shield Tube for late 1968 to early 1980 Harley Davidson model D, DC and D4. 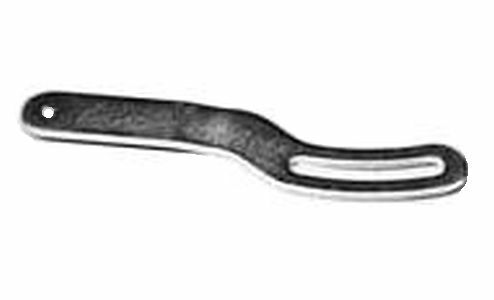 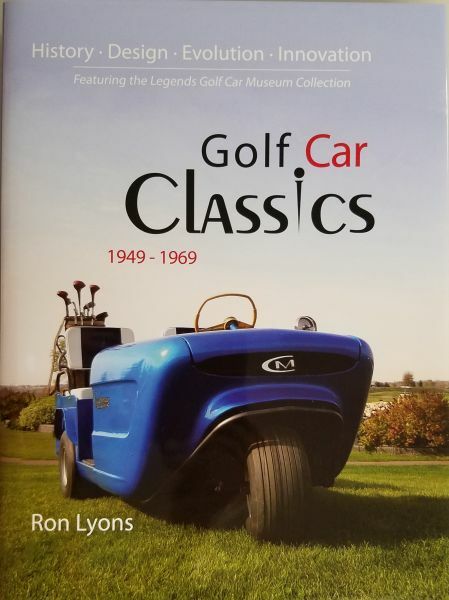 Seat Brake Cam Lever for 1975Harley Davidson electric models DE and DE4 and 1977 to 1981 DE3... Also 1983 Columbia Par Car electric models DE3 and DEX4. 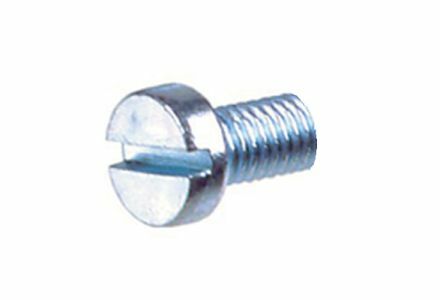 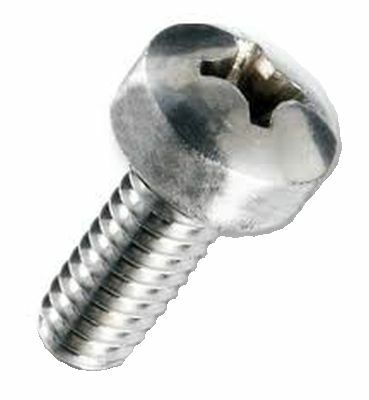 Stainless Steel Replacement Fillister Head OEM Style Crankcase Screw on 1963 to 1981 Harley Davidson models D, DF, DC and DF... Also Air Shroud Mounting Screw on 1963 to 1966 Harley Davidson models D and DF and 1963 to 1968 model DC. 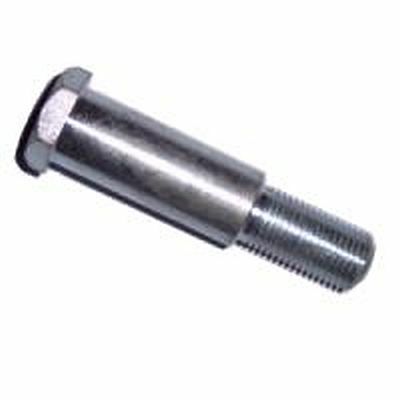 Screw for Throttle Shaft Clip for 1963 to 1981 Harley Davidson with Tillotson carb model HL-321A or HL-231B... Also 1971 to 1975 E-Z-GO with Tillotson carburetor model HL-279 or HL-287. 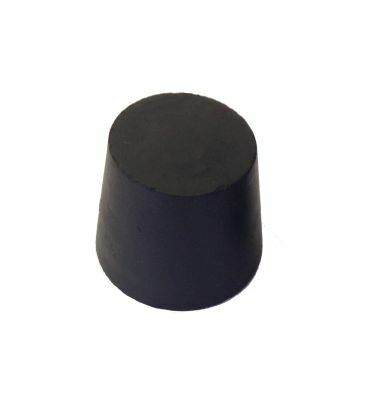 Short Cone Shaped Rubber Bumper for 1966 to 1971 Harley Davidson gas models D, DC and D4 and electric models DE and DEC.